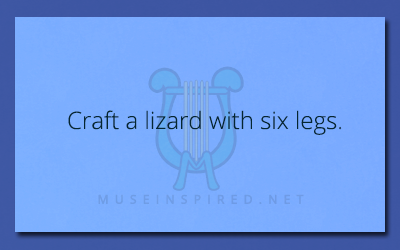 Crafting Creatures – Craft a lizard with six legs. Crafting Creatures - Create an amphibian that lives in coastal regions. Crafting Creatures - Create a mythical cat that is missing a typical cat feature. Crafting Creatures - Create a strange mashup of two different mammals.